Party organising was always one of the most pleasurable things to do for me.My sons birthday is in April and therefor i have all the benefits to throw an extreme party outdoors!I love everything about making a party for kids!I am going absolutely insane over all the cute little crafts,table settings,candy bars and of-course sweets! 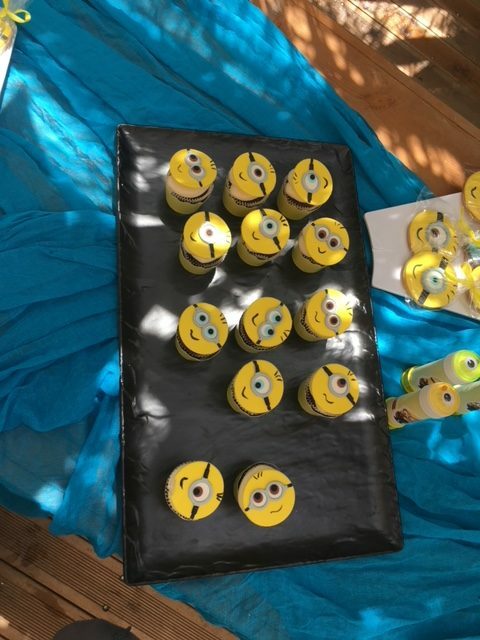 For my sons 4 th birthday i threw“Minion Birthday Party”and we had a blast! 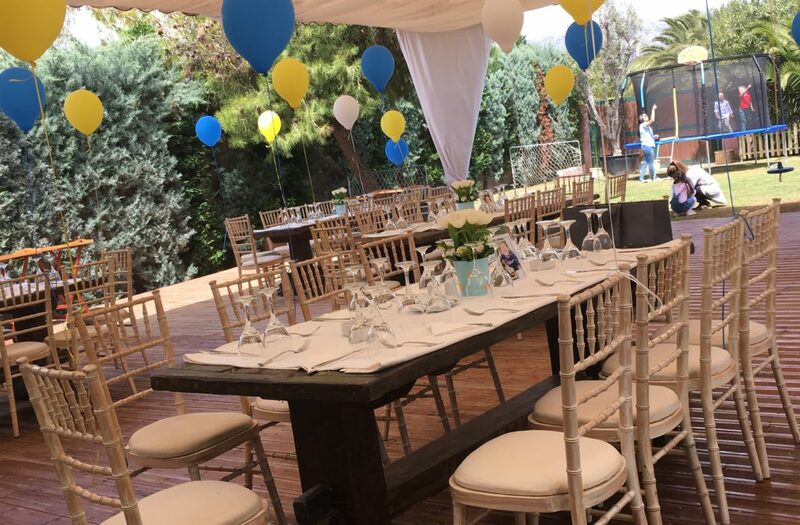 Yellow and blue details with hanging blue-yellow balloons and custom made minion photo frames. 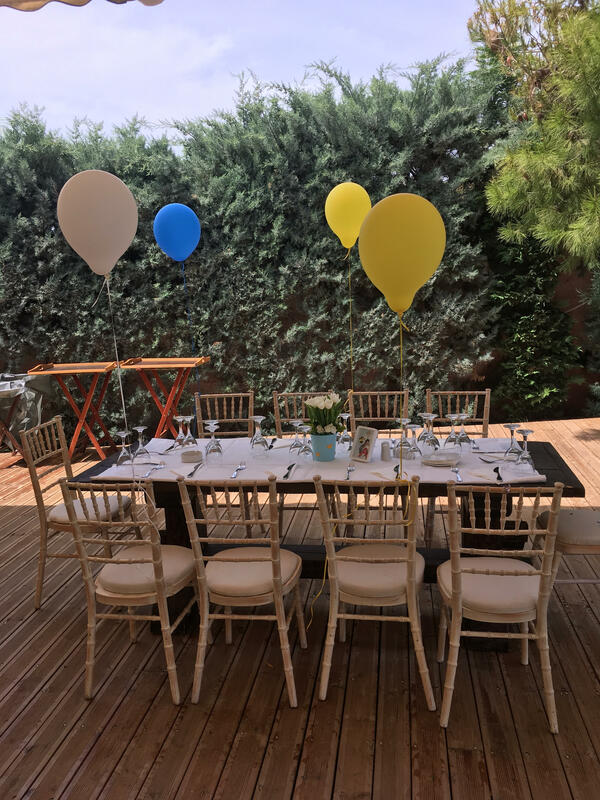 I loved playing with the table setting on this party.I have chosen wooden tables and i decided to have a white table covers that are suiting the sunny weather.In the middle of every table i have made a blue vase for yellow tulips-so i put everyone in “Minion mood”.It was quite easy-i found at “Ikea” plain blue vase and i glued yellow hearts on them. 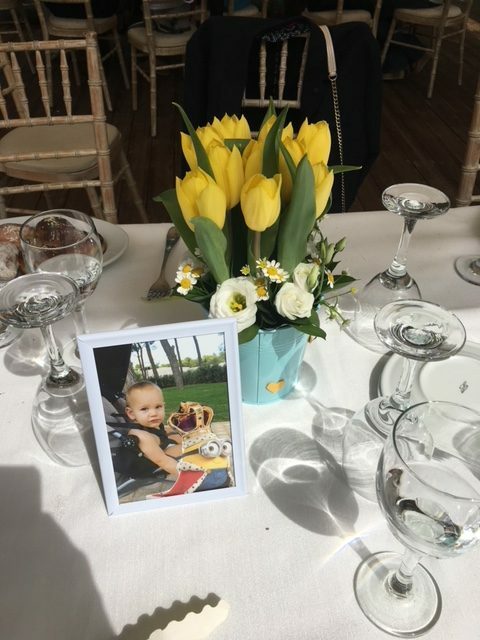 I love this little picture frames that i have made with his cute face and minions.It’s quite easy and it gives the “fun,baby touch” at the table. 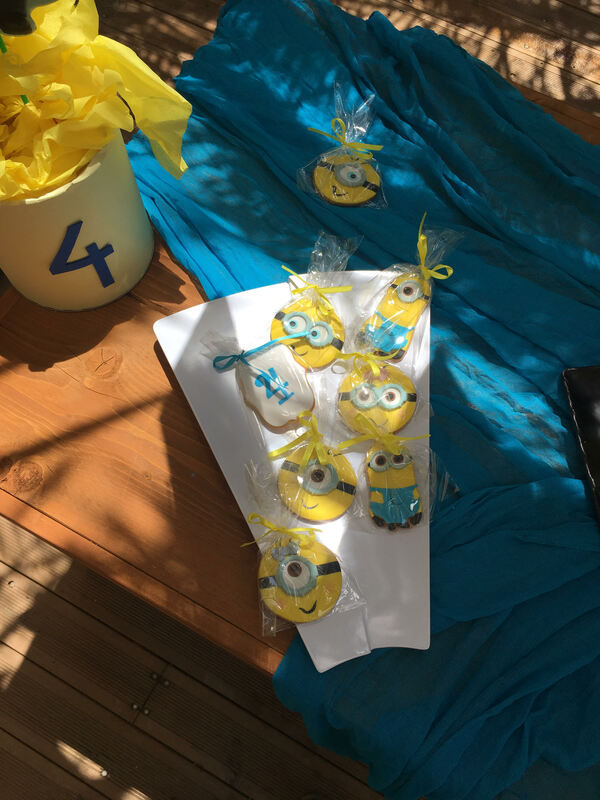 Minion Cupcakes,Minion cookies,Custom made frames. 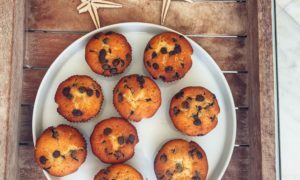 Adorable cupcakes and cookies in the minion shape are just perfect for my candy bar and kids are going crazy over them!I love them so much-i don’t want to spoil their shape by eating!They are too cute! 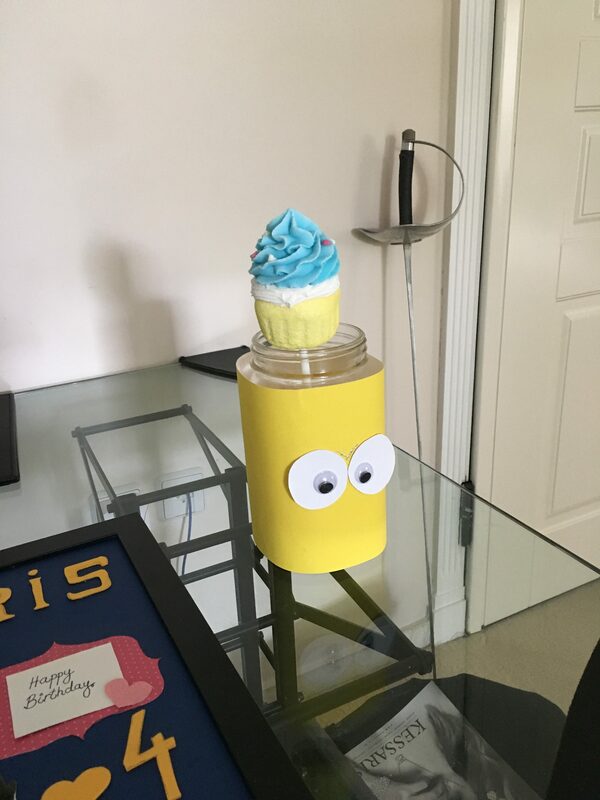 This is the vase that i have wrapped in yellow fabric and made two big eyes so it looks like a Minion.I can put lollypops inside and it is super cute!Don’t you agree? 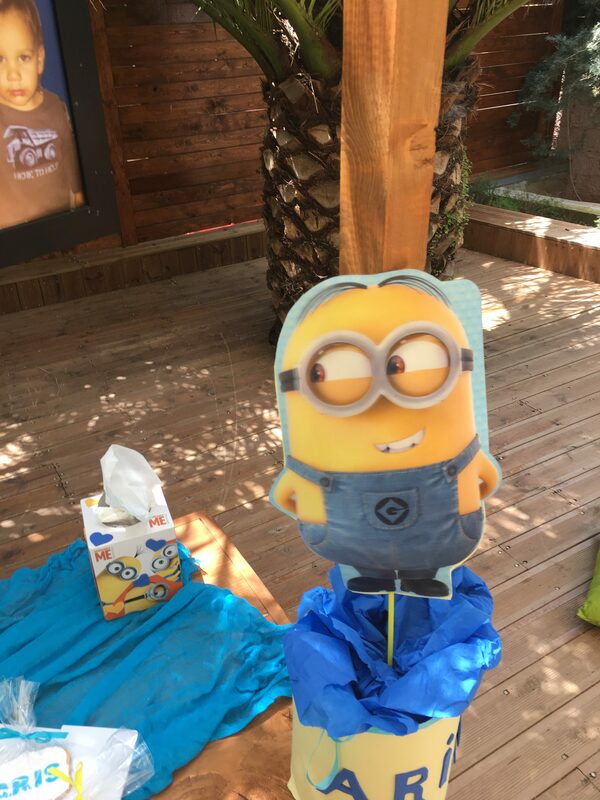 The Big Minion stand on out candy bar were made from a big pop corn cups,wrapped in yellow fabric.I just found Big minion from a bookstore,cut it and glue it to the straw.Cool,right? 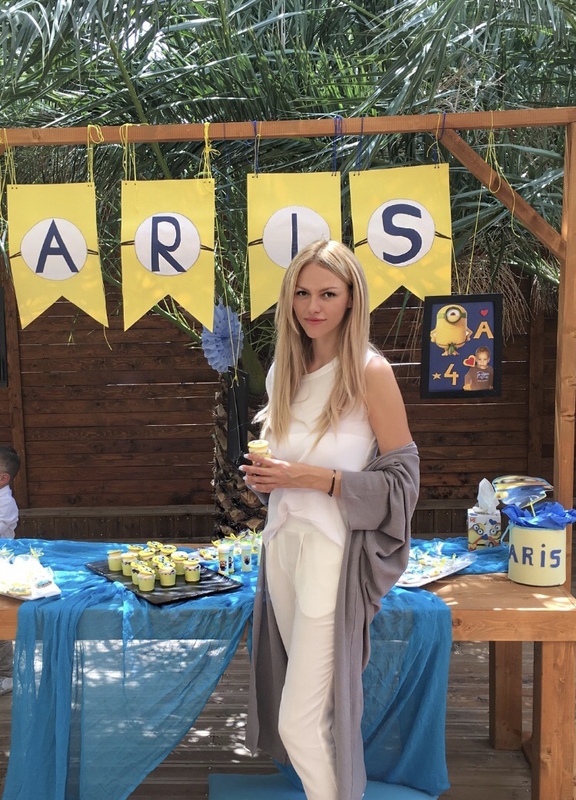 This Candy bar was an absolute hit for the kids!I love the fact that my son will remember his birthdays and he will have hundreds of pictures! I also love the fact that he will remember us doing all the decorations together for his parties.This gives me the biggest satisfaction! 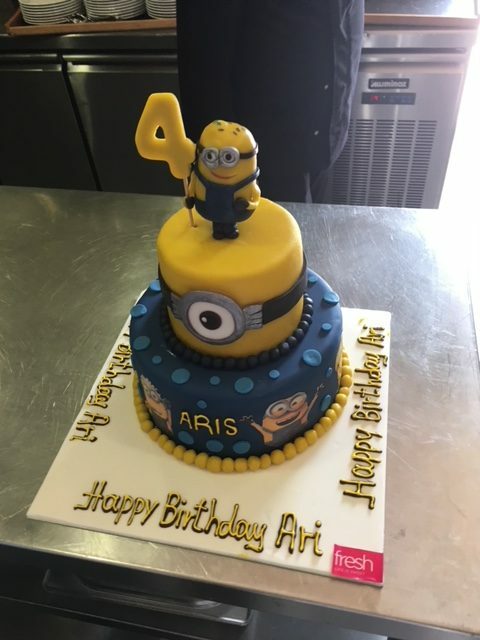 Thee floor Minion Cake was perfect ending to a pretty awesome party!Made from chocolate,white chocolate and strawberry PLUS chunks of Oreo cookies..OMG! This was surely party to remember!